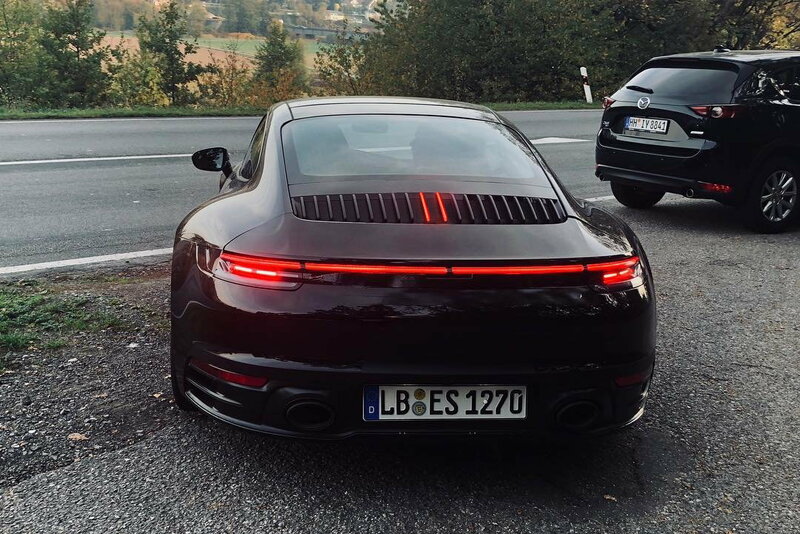 What on earth is the deal with the black coverup on the rear bumper? This third brake light saga is driving me nuts. What the hell is going to end up looking like? Come on Porsche! Same thing that I was wondering. There are still 2 separate versions of the third brake light still appearing, even as of yesterday on the streets of LA that someone posted on Instagram. That doesn’t appear to be the case. It looks to me like there’s clear plastic tape over the third brake light. And if that whole section was vinyl, look at the body colored area between the fins. No visible signs of vinyl or tape, transitions cleanly, clean edges, same body color. 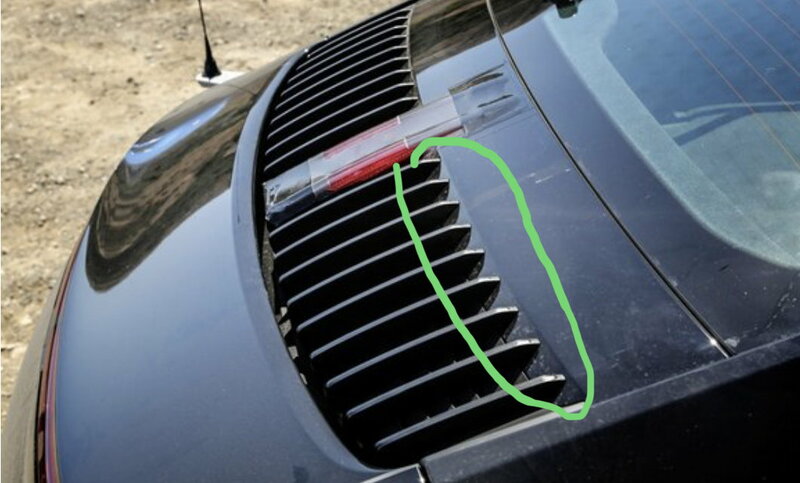 Agreed, looks like a pair of light up fins to me. Sure but this one is black already so it has no vinyl covering that whole section. The yellow one does -- look how the fins don't cut into the yellow part there, it's black underneath. Only 13 more days to wait...! The nubbin is a way of funneling buyers into MT cars. People used to get a PDK, then convince themselves they had a stick by bumping an aluminum lever to shift. Now they'll just get a manual. In the original photo, the light appears to extend above the other fins. 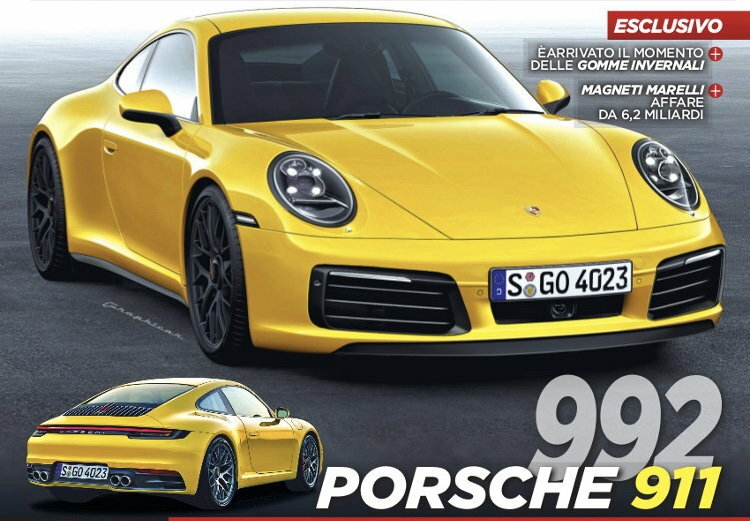 You should work for Porsche. This looks hot. The lights will be 2 of the “fins” and they’ll protrude out a bit. Looks SO MUCH BETTER AND MORE COHESIVE with the shutline going straight across. Basically this, but the two fin lights will protrude out a bit. Not quite as sleek as this photoshop.